Session keynote: Wim Jongman (University of Groningen): What did the Romans ever do for us? Philip Verhagen (Vrije Universiteit Amsterdam): From population dynamics to settlement patterns. 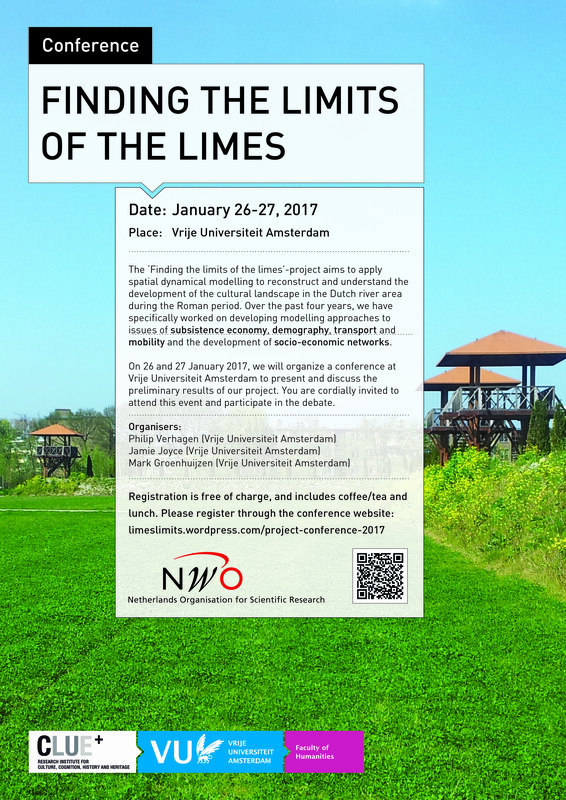 Linking archaeological data to demographic models of the Dutch limes. Wim De Clercq (University of Ghent): The Disastrous Effects of the Roman Occupation!? Population dynamics and rural development on the fringes of the Roman Empire: theories and models. Chris Green (University of Oxford): Modelling evidence densities: past population variation or modern structuring affordances? The case of England from the Iron Age to the early medieval period. Angelo Castrorao Barba (University of Palermo), Stefano Bertoldi (University of Pisa), Gabriele Castiglia (Pontifical Institute of Christian Archaeology): Multi-scalar approach to long-term dynamics, spatial relations and economic networks of the Roman secondary settlements in Italy: towards a model?